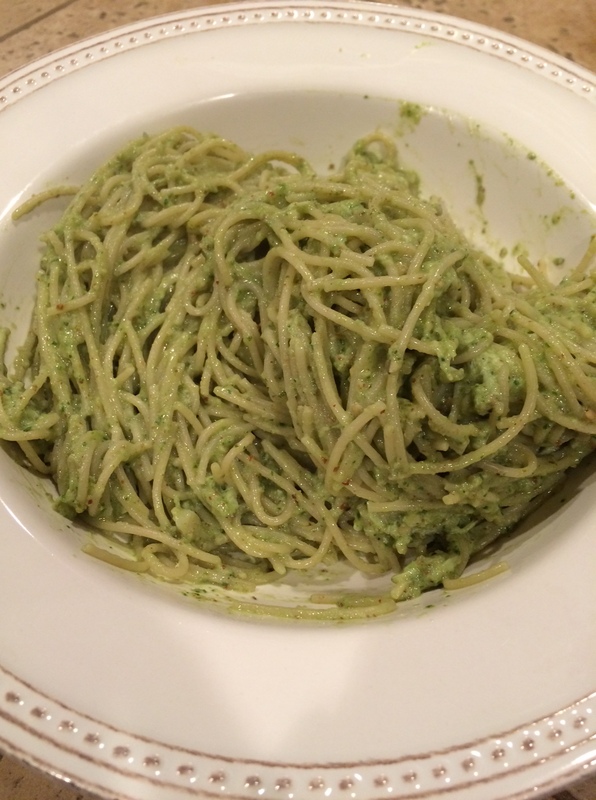 Peter and I got hungry for pesto pasta this weekend. 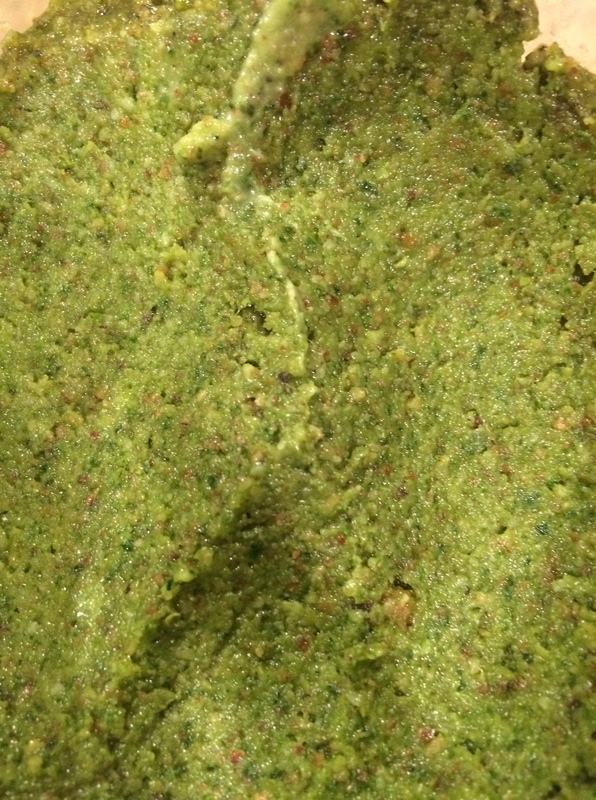 I dug out this favorite recipe from Food Renegade (http://www.foodrenegade.com/almond-spinach-basil-pesto/). 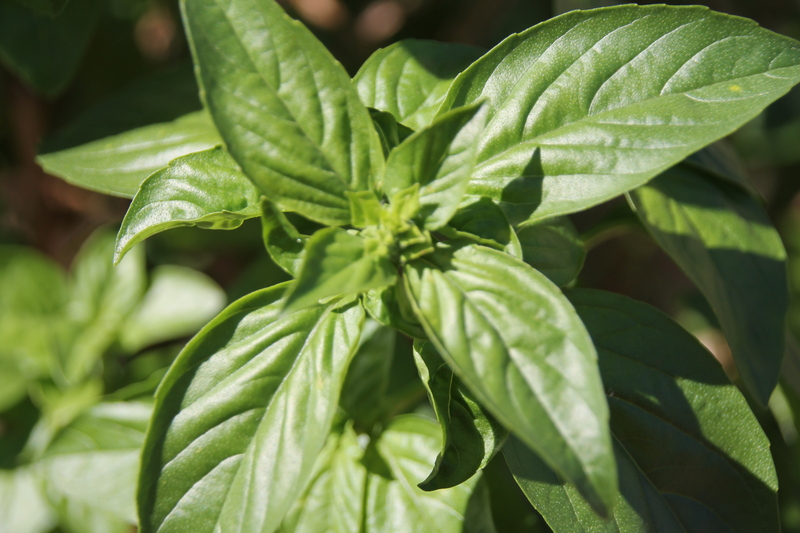 Its a delicious combination of basil, spinach and roasted almonds making a slightly healthier pesto. I use Blue Diamond roasted almonds and skip the roasting part of the recipe. 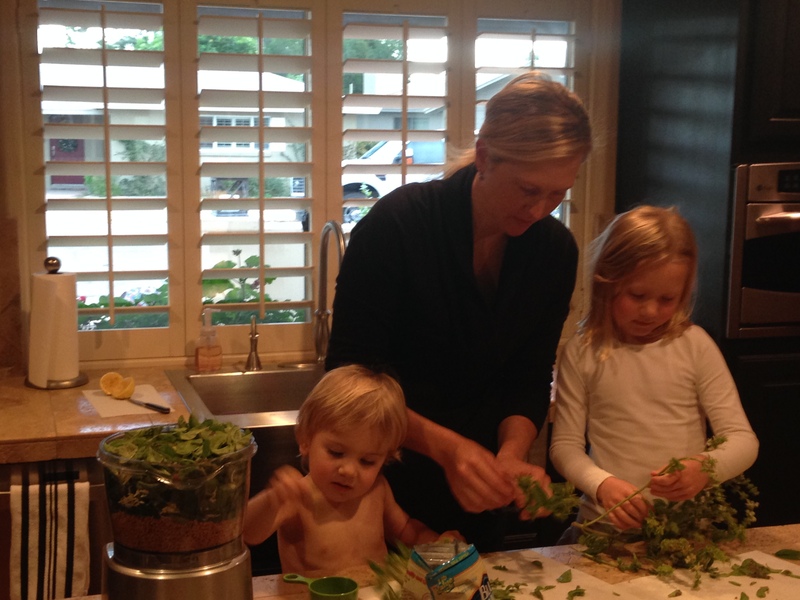 I also recruit little fingers to help pull the leaves off the stems of Basil. I double the recipe and throw a container in the refrigerator for later. Or you can get fancy like my mom and fill ice cube trays in the freezer so you can easily pop out a portion at a time for cooking. Finally getting to cute this beautiful stuff! I make ours a little thicker to cut some of the oil calories. I also like the way it keeps it’s flavor in pasta. And eggs. And on toast. And with chicken. And on a spoon. Voila! Tossed with angel hair pasta and rotisserie chicken!